Rev. Janice Butz is a native of the Lehigh Valley, growing up in Emmaus and then later attending Hood College in Frederick, Maryland where she majored in music. After receiving a Masters degree from Northwestern University in Evanston, Illinois, she remained in the Chicago area for over 27 years. 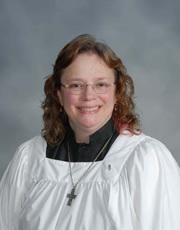 She returned to eastern Pennsylvania in February 1999 to accept the position as Minister of Music at St. John’s Evangelical Lutheran Church where she is organist, director of vocal choirs from children through adults, coordinator of Faith Through the Arts, and director of the summer Music-Art-Drama Camp for children. 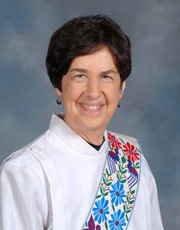 Prior to coming to St. John’s, she held the position of Minister of Music and Education at Covenant United Methodist Church in Evanston, Illinois and served as an adjunct faculty member at Garrett-Evangelical Theological Seminary, also in Evanston. Janice is an ordained deacon in the United Methodist Church and is certified by the church in both music and Christian Education. She lives in Bethlehem Township with her husband, the Rev. William Kuntze, an ordained minister of the United Methodist Church. Jaime Taylor is a life-long member of St. John’s and a Nazareth native. She graduated from Belmont University with a Bachelor of Arts degree in Christian Leadership and Youth Ministry & Church Recreation. In her position of Director of Youth and Family Ministries, she works with youth and children of all ages through various programs throughout the year. 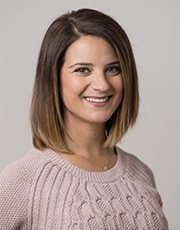 Her primary ministries focus on youth in grades 7-12th grades, preparing youth for young adulthood and taking ownership of their own faith practices. She currently resides in Bethlehem Township with her husband, James (Jt) and their dogs Maddie & Sulley. Deacon Patrice A. (Young) Kidd is a native of Nazareth and a life-long member of St. John’s congregation. She earned a BA in music at Muhlenberg College, studying organ with Dr. Ludwig Lenel and voice with Jeremy Slavin. She obtained PA certification in Music K-12 from Moravian College and earned an MA in Musicology from the Eastman School of Music. As part of St John’s staff, she is the Assistant Organist/Choir Director and directs the adult Philethia Choir. Patrice also teaches music full-time at Moravian Academy in Bethlehem. She resides in Bethlehem with her husband, the Rev. David P. Kidd. Gary Baltz, Dean Brodt, & Raymond Wolfe, Jr.